Do I Need To Worry About IR35? Check now by filling in our quick Questionnaire. I am considering contracting for the first time. The likelihood is that I would fall within IR35. What options are available to me as I don’t wish to run my own limited company? Umbrella companies cater for people new to contracting. We would suggest using one like Crystal Umbrella or Atlantic Umbrella to help you through your first time as a contractor. I run three contracts at once. Am I caught by IR35? Unfortunately, the fact that you have three contracts is not sufficient for you to fall outside IR35. You could find that one, two or all three of the contracts fall within IR35 and therefore you would need to be flexible to the taxation approach undertaken against each one. Each contract needs to be assessed independently to understand how each is affected. I have been contracting for 20 years. Surely, IR35 would not apply, as I have not been an employee for that long? Just because you have been contracting for that long doesn’t mean that IR35 does not affect you. Contractors, regardless of how long they have been contracting, can still be within IR35 as each individual contract and set of working practices, can and will, be different. I am looking for contracts via an agency. Would this alone place me within IR35? Some agencies specify that the end clients insist on contractors paying PAYE on their income and therefore they word employment contracts in such a way that the contractor would fall within IR35. By agreeing to these terms within the contract you would be changing the working practice. However, some agencies are happy for you to personally negotiate terms within the contract and providing the nature of the contract work is that of self-employment then IR35 would not apply. The key is understanding how the contract will be fulfilled, and then to word a contract that reflects that when negotiating with your client. In choosing a contract what should I look out for in relation to IR35? For contracts to fall outside IR35 you would be looking for a right of control. You would also expect to put things right in your own time and at your own expense. The safer the contract, generally the more like normal employment the contract becomes. In calculating whether or not a contractor is within IR35, is there one key factor that determines it? IR35 is determined by a series of factors and the working practice is key. However, certain clauses within a contract would help lend itself to identifying whether or not it falls in or outside the legislation. However, every case must be taken on its own merits and factors. I have to attend the client’s site to undertake the work but I can arrive when I like providing I make good progress within the scope of the project and have no direct supervisor. Would I be within IR35? Attending the client’s site itself would not lead to being outside IR35. The fact that you seem to have control over when you are to undertake the work and the fact you have no supervisor, means the methodology of the work belongs to you. On these combined factors your IR35 status would therefore lend itself to being self-employed and outside the scope of the legislation. I work in an office alongside other contractors and employee’s and we all undertake the same tasks. We have the same supervisor and take the same directions. Would I be within IR35? 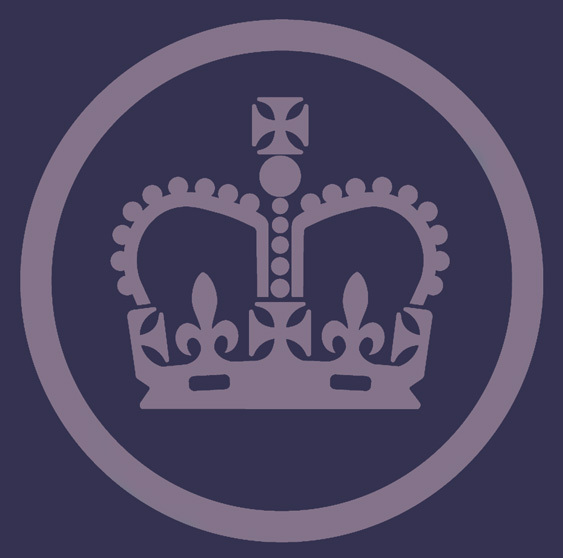 Feel free to contact us in Usually if you are undertaking the same tasks as an employee HMRC would usually state you are a disguised employee and therefore within IR35. Having the same directions from the same supervisor confirms this. the first instance, it’s free and our friendly team are waiting to help you. All contractors need to be aware of their IR35 status and their tax obligations (contractors outside IR35 enjoy tax advantages and significantly higher net returns). Your status depends on the terms and conditions of your contract together with your working arrangements. If you have a ‘contract of service’ you will almost certainly be ‘deemed’ employed (inside IR35), while a ‘contract for service’ could place you outside IR35 as self-employed. However, IR35 is a complex issue and the vast majority of contracts are not exclusively or easily interpreted inside or outside IR35. Many contractors who thought they were not affected by IR35 have been forced to pay back taxes or have been taken to court and lost. Although the actual legislation is to some extent open to interpretation, case law has established a precedent on which a contractor’s IR35 status can be assessed. Are you committed to fulfilling your contract personally? While these are important factors exceptions do occur and your working practice needs to be considered carefully to ensure it reflects your contract. For your own peace of mind you should have your individual circumstances and contract checked by IR35 experts. Even if your current contract is outside IR35, you should have an understanding of the legislation because your next contract may not be. You cannot avoid IR35 and you cannot choose your own IR35 status (and neither can your end client or agency): it is determined purely by your contract and working conditions. Your contract must reflect the reality of your working conditions and the services you provide because they could be checked by HMRC. Contractors have tried to class themselves outside IR35 by adjusting the wording of their contracts but this does not protect them from IR35 legislation. You should think very carefully before challenging your IR35 status as this runs the increasing risk of an HMRC investigation and the danger of backdated tax demands, interest payments and/or a fine. In the past, contractors outside IR35 would form their own limited company and pay themselves via the dividend method. If your contract is inside IR35 and therefore subject to deemed employment, you can operate your payments through your clients PAYE even though this is not the most efficient method. Whatever your status, there are alternatives and you may still be able to increase your net income. You should account for salary payments, the deemed payment and any tax and national insurance due as part of the normal payroll summaries you need to report to HMRC. You should report salary payments made by the company to the worker during the year on a Full Payment Submission (FPS) on or before the time of payment. If no payment is made in a period then return an Employer Payment Summary (EPS). The deemed employment payment should be reported on an FPS on or before 5 April. The normal end of year payment rules apply to PAYE and National Insurance contributions due on the deemed payment. You don’t have to identify the deemed employment payment and any tax and National Insurance contributions due on it separately. Also include the deemed employment payment on the P60 form, which your limited company or partnership, must issue to employees after the end of the tax year by the 31 May. In these circumstances, interest will be due on the balancing payment but no late payment penalty will be due. This concession on penalties will be reviewed annually and notice will be given if it’s to be withdrawn. The deemed employment payment is treated as your employment income from your company or partnership. You should include it with any other employment income on your self-assessment tax return. The tax and National Insurance contributions are treated in exactly the same way as if they were paid under PAYE. If you receive a salary from your limited company or partnership, your intermediary will need to give you a P60. The pay, tax and National Insurance contribution details on the P60 given to you by your company or partnership should include the deemed employment payment plus the tax and National Insurance contributions paid on it – you don’t need to enter the figures separately on the employment page. Enter the total P60 pay, tax and National Insurance contributions figures in the relevant boxes. If only a provisional amount of tax and National Insurance contributions has been paid when you are issued your P60, you should receive a revised one when the correct deemed employment payment is calculated and the total tax and National Insurance contributions accounted for. In such a case, you should use the figures on the revised P60. When calculating Corporation Tax liability, your company may deduct the amount of the deemed employment payment and any Class 1 employer’s National Insurance contributions due on it. This deduction in the accounts is only allowed in calculating the taxable profits for the accounting period in which the deemed payment is treated as paid. It doesn’t affect your company’s tax computations for other purposes, which should only show any salary payments it has actually paid.